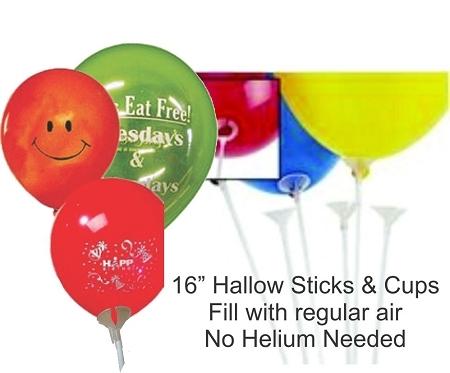 16" BALLOONS HALLOW STICKS & CUPS 100 CT. No tying or Helium is needed. Fill balloons with regular air & save. Copyright Max Balloons. All Rights Reserved. eCommerce Software by 3dcart.